SWIMAGE creates a universal image that is driver agnostic. With SWIMAGE, hardware drivers are injected on-the-fly when a PC is deployed. Driver are pulled from the SWIMAGE driver library that is designed with single-source technology so that no driver is ever duplicated in the driver store, no matter how many models you may have. 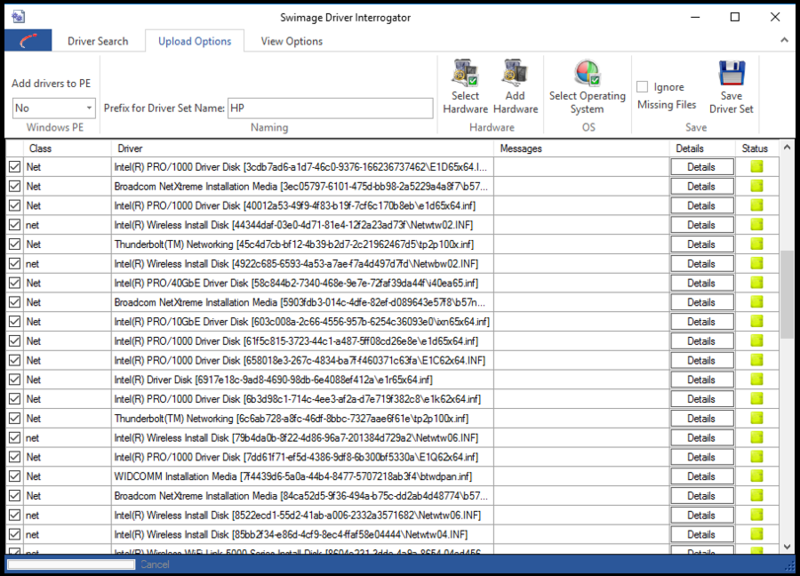 Drivers themselves are organized and imported into SWIMAGE easily using the SWIMAGE Driver Interrogator. Scan your existing driver store to import directly into SWIMAGE. Scan a current PC for all installed drivers. SWIMAGE will extract the live drivers and import them into SWIMAGE. Scan a remote PC and import the live drivers into SWIMAGE. Import an application into SWIMAGE and treat it as a driver, so that it’s installed automatically based on hardware type.